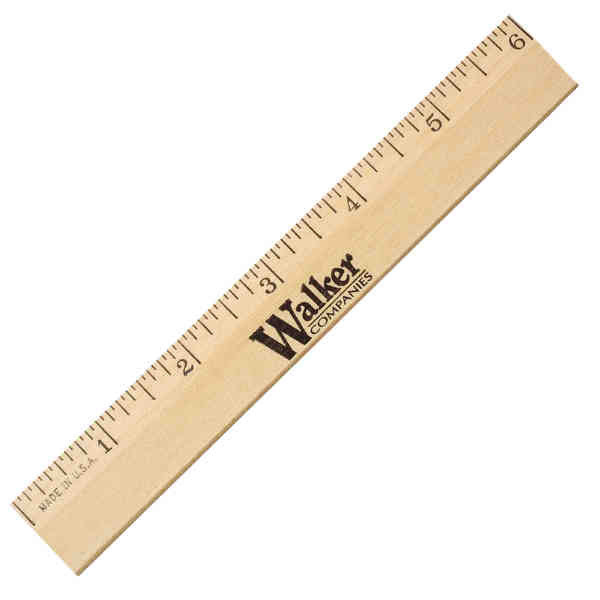 This 6" wood ruler features a clear lacquer finish and a classic beveled design. This American-made promotional product measures 5/32" x 7/8" x 6" and has a pre-printed English scale. Don't forget to include a personal message or your company name or logo for some brand awareness. The convenient size makes this ideal for giving away to prospective clients at teacher conventions and school fundraisers! Size: 7/8 " x 6 " x 5/32 "